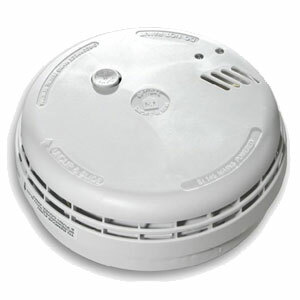 The aico Easi Fit EI146 Optical Smoke Detector is one of our best selling products. Feature 240v mains connection with an alkaline battery back-up for peace of mind and added safety that will last up to 4 years in stand-by mode. The smoke detector is easy to fit and is inter-linkable. Alkaline battery designed to last up to 4 years in stand-by. Multiple cable entries and surface wiring knockouts. Large, clearly marked wiring connections. The test/hush button provides false alarm control and also allows the alarm to be manually tested. provides an alkaline battery back-up instead of rechargeable cells.